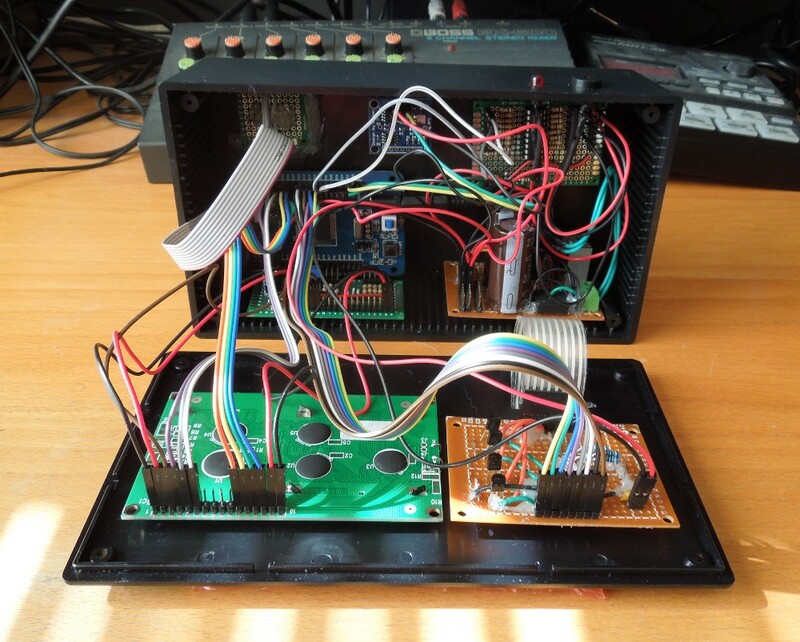 After a long pause, I finally took the time to complete my AVR-based alarm clock project this weekend. I redesigned many parts of it in order to simplify the design, maximize robustness and minimize the amount of work required. As such, I decided to use off-the-shelf components where possible. I had a billion ideas for cool features to add to this alarm clock, but since I have a tendency to get carried away, I decided to keep the plan simple: my initial goal is to complete a basic, usable alarm clock. No more, no less. 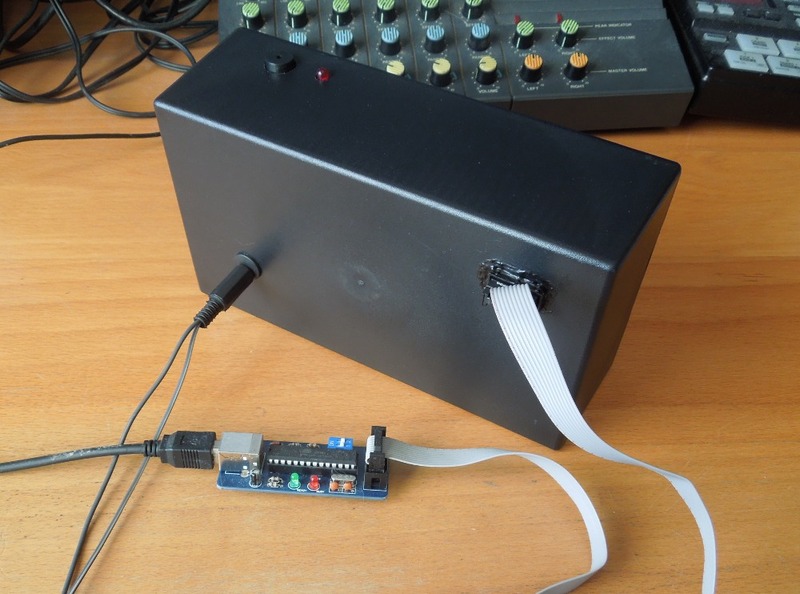 The modules are connected together using simple pin headers and dupont jumper cables. These cables are inexpensive and come pre-assembled, saving me the time and effort of crimping my own connectors. The ATMega64 board is very much overkill for this project, but the board in question is only a few dollars than weaker alternatives and has many I/O pins, leaving room for future expansion. The source code for the alarm clock is written entirely in C and compiled with avr-gcc. I used an I2C master library written by Peter Fleury to interface with the clock module, but wrote custom drivers for the LCD and DS1307 chip, which fortunately wasn’t very difficult. 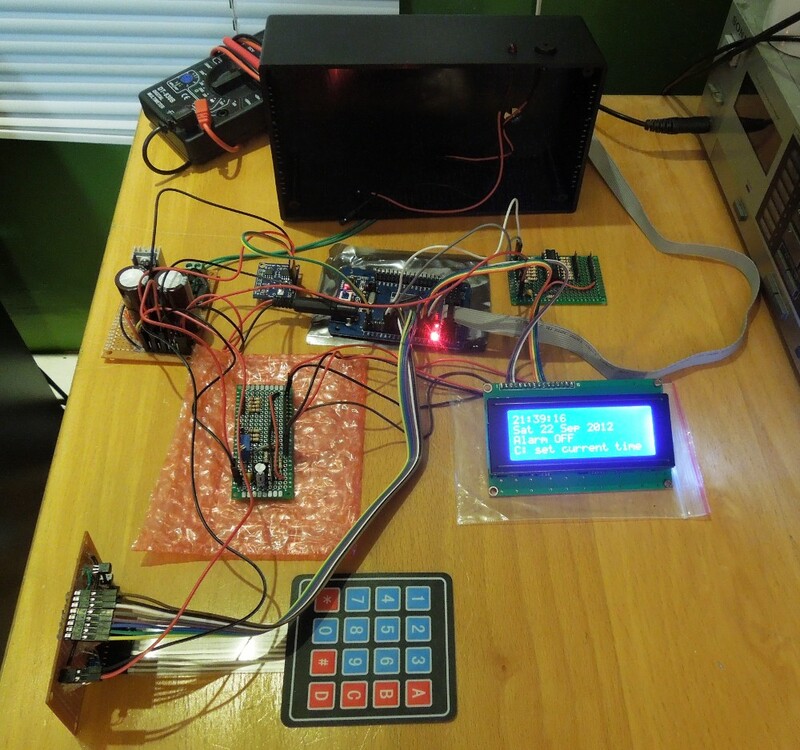 I used an usbasp programmer with the avrdude software to flash the microcontroller. The tools worked perfectly on my Linux machines and I would recommend these to anyone who wants a cheaper (or more portable) alternative to the Arduino. Keeping track of the date and weekday. There are of course many possibilities for future improvement, such as supporting different alarm times on different days of the week and automatically taking holidays into account. I installed an in-system-programming port on the back of the alarm clock so that I can upgrade its firmware without needing a screwdriver. I can even reprogram it while it’s running. 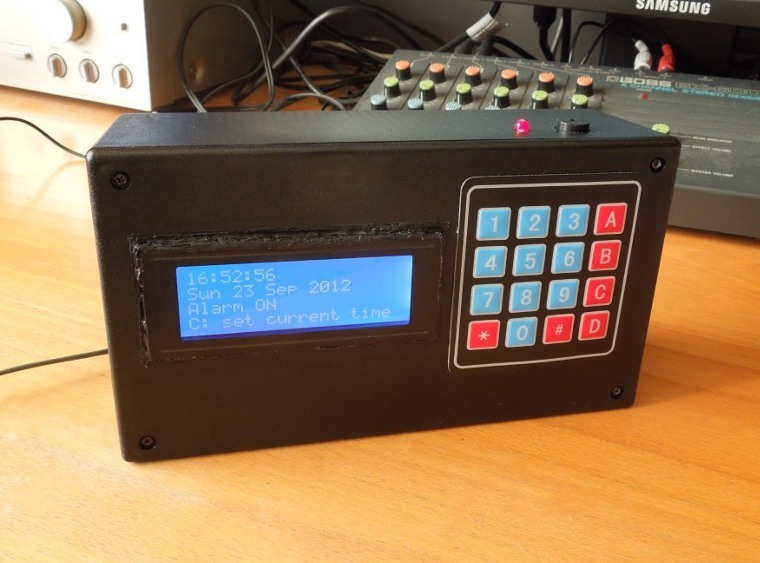 If you’d like to take a peek, the source code for the AVR alarm clock is available on github. Are you sure this is OK? If alarm starts at 7:55:00 then (cfg.alarmTime.hour != curTime.hour) will be true after only 5 minutes. This is the kind of thing you should report on GitHub!